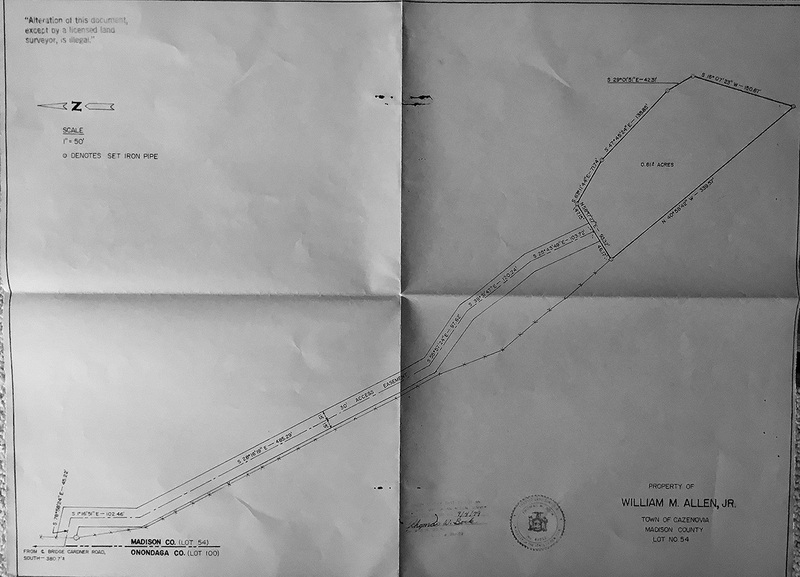 The .81 acre parcel noted is not listed for sale. There is a 996 ft.long by 16" diameter penstock (supply pipe) running from an intake above the upper falls to a powerhouse below the lower falls, with a total head (vertical drop) of 134 feet. Tge. The historical output of the powerplant was 32.5KW, but the design peak output was 75KW. 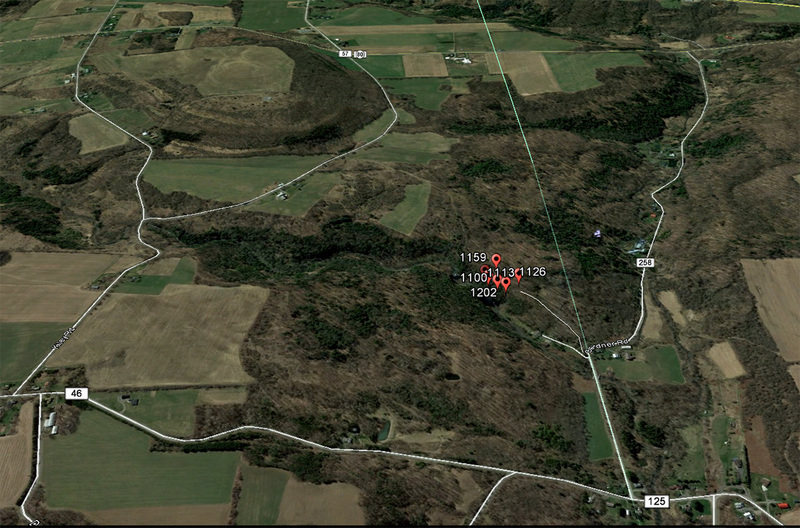 The house on the .81 acre parcel is an approximately 1200 sq.ft. wood-frame tri-level with domestic water and electric service available. The house has a great view of the upper waterfall, approximately 300 ft. away. The house requires finishing. The a hydro electric system installed is not currently operational, but is serviceable. A breakdown of the powerplant invested costs are the following:"
The parcel is in e area designated .81 a. 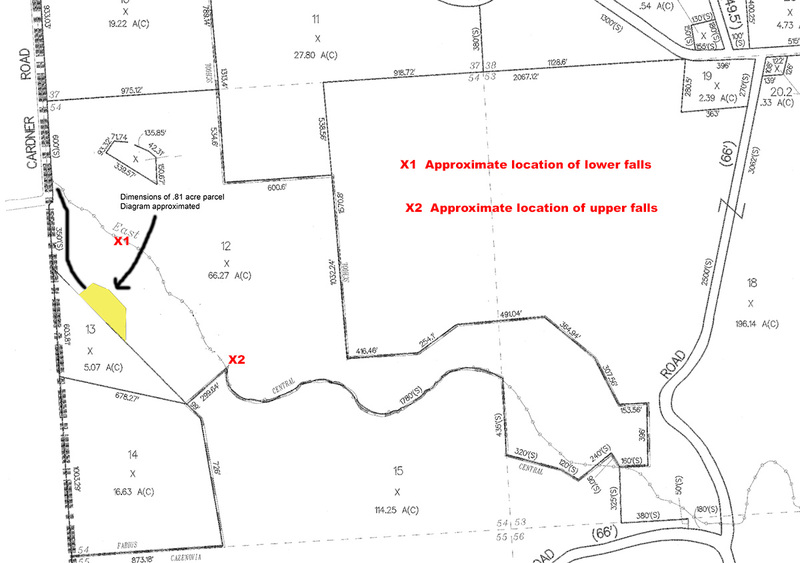 This diagram has been altered by the Realtor to estimate the location of the .81 acre parcel that is not included in the listing. Above are GPS readings taken on the survey stakes. They are only accurate within 13 feet so this is only approimate. What is important to note that there is a walkway and plenty of space between the .81 acre parcel and the cliff to the gorge. So the parcel does not obstruct use along the gorge and waterfalls. This is the survey for the excluded .81 acre parcel. Click here for a zoomable PDF of this diagram.